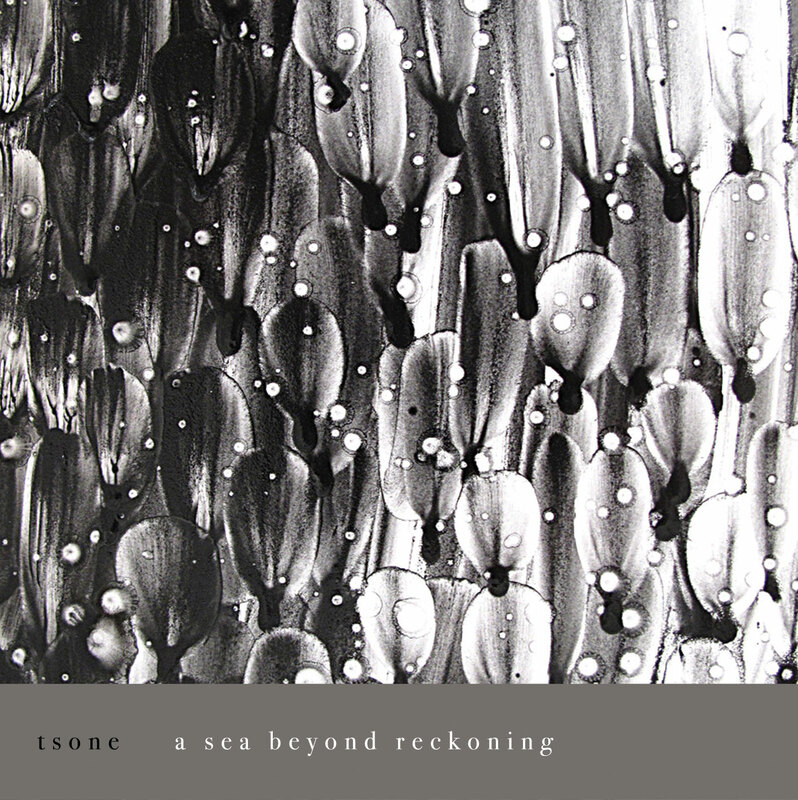 Getting into December, we are glad to receive the work of american artist Tsone. We first met him while building up our 25th release, Circles Around The World. Gladly surprised by the consistency of his oeuvre we asked Tony Obr to work out an album for Audiotalaia. Finally, here it is this A Sea Beyond Reckoning. These works were primarily composed and arranged using a battery of custom built software instruments and effects. I designed the software to function as complex interconnected systems that allow creation to emerge. In this sense much of the aesthetic agency is given over to the systems themselves. Each composition becomes its own environment with its own internal logic which enables the fundamental qualities of a sound to blossom and develop into elaborate structures. Jay Hardin is in charge of the artwork for this release. He has worked out a series of graphite and charcoal drawings trying to build an image for the compositions. All tracks produced and arranged by Tony Obr. 2010. "This is an excellent issue of the nowadays ambient music (actually masterpiece) filled in with subtle sounds of droning electronics, chopped-up microsounds, and fluttering, highly emotive electric piano chords (by its sound characteristics you may suppose this way). However, I cannot myself to tear apart from the Arctic-related ice plateaus and cold yet warm imaginations. Indeed, very minimal yet following the maxim less is more. The author of such blessing soundscape is Anthony Obr from USA (not to be confused with another tsone, an artist from Finland)." "Ya hace algunos días que esta disponible la nueva referencia de Audiotalaia. Este último lanzamiento del año viene firmado por Tsone, al que conocimos en el recopilatorio [at025] publicado por este mismo sello. En este caso nos presenta siete piezas de diversa sonoridad pero enmarcadas en una misma linea de ambient experimental. En general un disco muy dinámico y con buen sonido." A sea beyond reckoning by Tsone is licensed under a Creative Commons Reconocimiento-NoComercial-CompartirIgual 3.0 Unported License. Based on a work at www.archive.org. Permissions beyond the scope of this license may be available at http://www.myspace.com/tsonesound.